This Friday 19 May BBC Radio 4’s Today Programme will be coming live from University Park Campus. The show is one in a series of special programmes taking place in the run-up to the General Election featuring different policy issues in each city. Nottingham’s issue is Immigration and Integration and they are looking at how this would affect both the University and Nottingham as a city. They want to capture a sense of university life so will be recording outside the Trent Building with the sounds of the iconic bells and noise from staff and students as they arrive on campus. 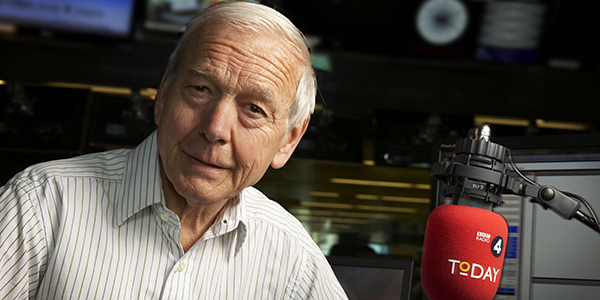 John Humphrys will be interviewing the Vice-Chancellor Professor Sir David Greenaway as well as a number of academic experts although current affairs will dictate the majority of the schedule. Follow our tweets @uniofnottingham and @uonpressoffice and social media feeds to watch the action or tune in from 6am. The hashtag is #R4Today.